" Just took it out to the range last week and love it. My only complaint is after 100 rounds my trigger finger is sore. I dont have that problem with my PPQ and the trigger looks very similar. " " KGC had the best price to be found with free shipping on top of that what more can you ask for Great service, fast shipping, will be back for future purchases. Not much to say about the PPS M2 that is not already covered many times from one end of the internet to the other. 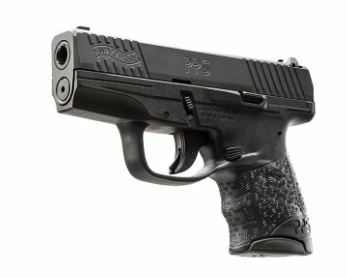 Its a excellent pistol, Walther doesnt beta test with its consumers. I have run alot of weapons in the Military and civilian life if your looking for a single stack or great CCW rig this is going to be hard to beat. " " Purchased this pistol. Walther PPS M2 9mm. Outstanding CCW Pistol. The ergonomics are the best pistol I have every held or carried. Walther has knocked this one out of the park. It is a great CCW pistol. German made quality. "